"We worked tirelessly designing these links right here in the UK. We wanted to create something modern: a cufflink for the 21st Century, if you like. Once we were satisfied, we plated them with rhodium for that marvellous finish, and Bob’s your uncle!" "Plated with rhodium so they won’t ever tarnish, these links are as hardwearing as they are handsome." You guys come up with some great products. 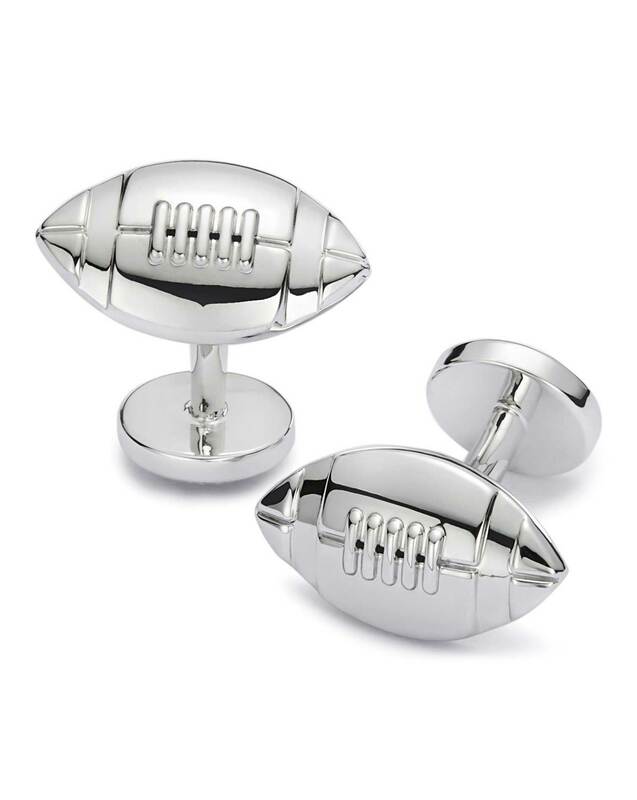 I really like these American Football Cufflinks! Great workmanship and quality material.